Who works here at Maxcraft? Get to know the employee….. | Avionics Blog – Avionics to the Max! Who works here at Maxcraft? Get to know the employee….. 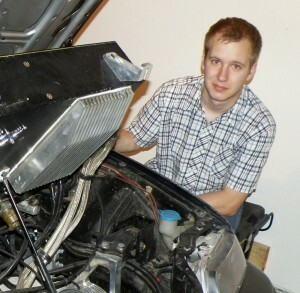 This month our featured employee is Miroslav Novy. Miro is one of our newest employees here at Maxcraft, joining us as an Apprentice Avionics Technician. Miro is currently in the license application process. At his previous employer he gained valuable skills in troubleshooting, avionic installations, and modifications on various Eurocopter, Sikorsky and Bell helicopters. Miro has been doing avionics work for over 2 years and absolutely loves it! His favorite thing about aviation is working with state of the art equipment and doing custom installations. Maxcraft has definitely offered him the opportunity to do all of that. Born in Slovakia, Miro moved to Canadian 2002 where he pursued his career in avionics. His interest and love of aviation have been with him his whole life. He has been flying RC planes and helicopters since he was a child and with that enthusiasm in mind, he decided to attend BCIT Aerospace and pursue a career in aviation. After 2 years of education, Miro went on to work for Heli-One as an Avionics Apprentice Technician. Wanting to gain more diversity of skills and knowledge in the aviation world, he made the move to Maxcraft in 2013. Technology is more than just a job for Miro; it is a passion and a hobby. 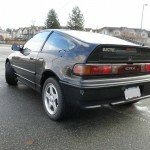 For example: Miro, alongside his father, converted his 1992 Honda CRX to a fully electric car. How awesome is that? This entry was posted in Avionics 101 and tagged apprentice avionics technician, Aviation, BCIT Aerospace, Bell, Eurocopter, Heli-One, Helicopters, Miroslav Novy, RC planes, Sikorsky, Slovakia, technology. Bookmark the permalink.